Downs are found almost everywhere as insulators in outdoor gears, in that sleeping bag you just bought for your camping trip, or that your favorite jacket that keeps you warm during cold nights. Down from birds is considered the finest base layers due to their structures that make them create air pockets that trap the body’s heat hence providing warmth. The formation of air pockets is made possible by the crisscrossing of the millions of filaments in the structure of down. When it comes to insulation, nothing comes close to how well down performs. Human beings have tried to develop synthetic materials, but still, they haven’t succeeded in matching the stuff that ducks and geese produce without even breaking a sweat. This is why down is considered very effective as it performs beyond any other products in keeping us warm even in the coldest of places. Since most backpackers always wonder which type of down is better between duck down and goose down, let me sort out the facts about downs. Let’s take a look at each of the two types of downs separately so that we can know their distinct properties. Ducks usually have a layer of fluffy feathers under the tougher exterior ones. It is from these fluffy feathers that duck down is derived. Such ducks are always reared for food, and the down is usually obtained as a by-product. Duck downs are soft and airy due to the thousands of fibers that radiate from its core. Very warm: They are excellent thermal insulators. Soft: This is as a result of being very feathery. Breathable: This makes it be an excellent filling for duvets. Geese always have a layer of under plumage beneath their feathers to provide themselves with warmth and to keep them dry. It is this layer that goose down is derived. 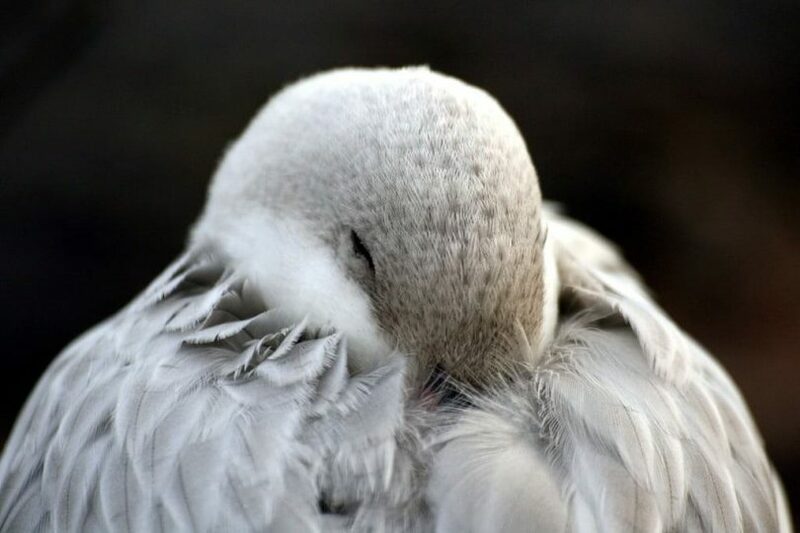 Goose downs are soft and fluffy and are used in pillows, duvets and sleeping bags. Extremely breathable: They allow moisture to pass through them to escape from your body while you are asleep. The primary difference between duck down and goose down is the size of the down cluster. Goose downs have larger clusters as compared to duck downs. The barbules are also placed further apart allowing more air to be trapped between the clusters. This makes goose down to have higher rates of insulation as compared to duck down of the same fill weight. For a long time, goose down has always been the standard for insulation making it to be popular among most outdoor gears. This has made its demand to shoot to the roof making its price to do the same. As a result, goose down has slowly become rare making manufacturers to resort to the cheaper and readily available duck down. Another reason why the supply of goose down is low as compared to that of duck down hence making the goose down to cost more is that, since down is a by-product of the meat industry as it is obtained from birds that are killed to be eaten, geese are not eaten on a larger scale as compared to how ducks are eaten, especially in China. The main source of down is primarily in China. Other sources of down include Poland and Hungary. When it comes to how long a down can last, there is no difference between the durability of goose down and duck down. 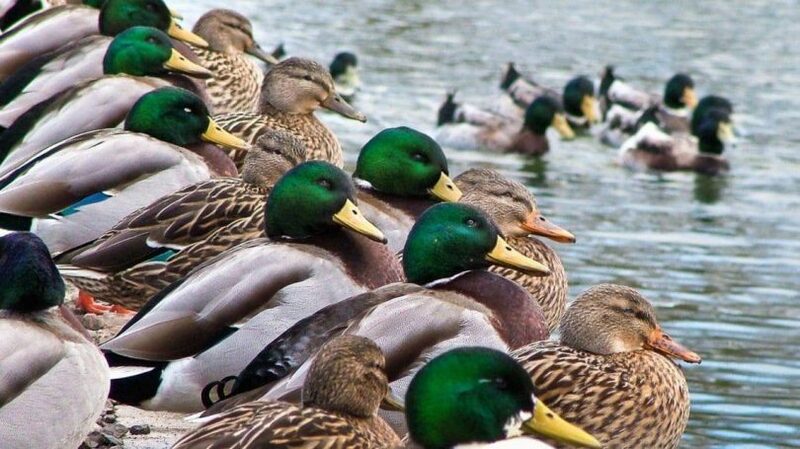 How long a down will last will depend on its quality regardless of whether the down is from ducks or geese. The down quality will be determined by its natural fat and oil content. There is a certain percentage of fat and oil that a bird should have so that the down it produces is pliable and resilient. During the processing of down, care must be taken so that it is not over washed. Over-washing may remove the oil making the down to become brittle as a result of drying. This will decrease its fill power. The natural fats and oils found in down give them their natural scent. If you have an acute sense of smell, then you may notice a very slight odor irrespective of whether the down is a duck down or goose down. Minor differences in terms of odor may arise between the two types of down depending on the feeding habits of the source animal. Both the duck and goose down come in two different colors; white and mottled grey. There is no performance difference between down of the various colors of the same type. However, white colored down has always been the most desired since most fabrics are white. We love all outdoor gears that are filled with down because they keep us so warm and so comfortable even on a cold winter night irrespective of whether they are from ducks or geese. If you are thinking of investing in down filled products like a sleeping bag, a jacket, duvet or a pillow, here are things that you should keep in mind. Down fill power is the index that is used to determine the insulating properties and the quality of the down. It is the numerical representation of the volume that is occupied by one ounce of down. The higher the fill power, the higher the volume that will be occupied by an ounce of down. A higher fill power results from a down having large clusters. The larger the clusters of a down, the larger space it will occupy. This will improve its insulating properties as more air will be trapped. The most effective and expensive down has a fill power of 700 cubic inches and above. Low quality down feathers have a fill power of below 400 cubic inches. The size of a down cluster is determined by the size of the bird from which it is obtained and the climate in which the bird has lived. The cooler the climate, the larger the sizes of the clusters. This is because the birds would have developed larger cluster sizes to help keep them warm. Goose down feathers have a higher fill power as compared to duck down. This makes them have higher insulating powers than the duck down. The thread count and material used to make the fabric shell of the down are important because they will determine how soft and comfortable the item will feel against your skin. The fabric shell is also important since it helps to keep the down inside the product. For your down to remain protected and cleaner, the material used to make the fabric shell should be of a higher thread count. If you want the most fluffy and comfy bedding, jacket, sleeping bag or any other down filled product, then you will need to ensure that the product that you buy has the best quality of down. The best down should be from the underbelly of mature geese or ducks. Whether you are buying a comforter, a jacket, a pillow or a sleeping bag, the design and construction of the product will determine how warm the down product will be. For comforters, ensure that it is designed in such a way that no down slips to its edges. This is because if the down slips to the edges, it will only trap the heat on the edges hence keeping the warmth away from the body. The best design should be a diamond box design or a baffle box design to ensure that all the down lay smooth without clumping to the corners of that item. Down feathers are made primarily of keratin. Keratin is a versatile biopolymer that is available all over naturally, in animal hooves, horns, feathers and much more. This makes Keratin to be considered a material that is used to make parts that protect animals from their external environments like the weather. Evolution has really done a very good thing. Down feathers are very different from other bird feathers. Ten minutes in a down sleeping bag and ten minutes in a sleeping bag filled with feathers from other birds like sea gulls will help you realise how extremely different down is from the rest. Since other birds’ feathers are also made from keratin, it means that how this keratin is arranged must be different from how it is arranged in other bird’s feathers to make down extremely unique. A closer look at the structure of down reveals how similar it is to wool fibers and human hair. This is because its barbs are also made of hard cylinders that make it very strong and rigid. The barbs are also surrounded by a softer matrix that gives the down material toughness and makes it be able to absorb impact. This makes the down material to be lightweight and very tough. The design of each down barb is also perfect to enable it to resist compression. This is a crucial property in all insulating materials. The barbs are also irregularly shaped so that they can be able to resist compression in all directions. The arrangements of the barbs also make the down to trap a maximum amount of air and also block heat transfer from the body by radiation, making its insulation properties to be unmatched. Nature must have thought long and hard about this. Although significant improvements have been made as humans have attempted to create synthetic materials that are similar to down, synthetic insulation manufacturers can agree that it’s really hard to make small fibers as complicated as down. Arranging the fibers into little symmetrical trees like down is has proved impossible. As new techniques continue to be developed day by day, it would be a major achievement if we would finally be able to make synthetic down with the warmth-to-weight ratio, softness and compressibility of down. Although down has the best insulating properties, they too have their shortcomings. Here are some of them. Price: The prices of down products are higher as compared to synthetic insulators. However, if you love the comfort that comes with using down filled beddings and jackets, then you’ll find it worth it to pay a lot of money for down products. Performance when wet: Down filled products should always be kept as dry as possible. This is because if down gets wet, water can ruin the down by making them clump together hence reducing its insulating properties. Experience required when cleaning: All down products require special cleaning products to wash them without causing damage to the down used to fill them. There are special instructions that need to be followed when cleaning down products. The decision to which down is the best for you comes down to two things, warmth and the price. If you are a cost-conscious consumer, you may want to choose duck down since they are less expensive as compared to goose down. However, if your comfort comes before what your wallet feels, then I would advise you to choose goose down products since they will keep you cozier. You will be able to know which type of down is used in the product that you will be buying since manufacturers always indicate the type of down that they use. Any other detail you feel we may have left out on duck down vs. goose down? Please let us know in the comment section. Do check out our article on the best winter clothes for extreme cold to find out more.